Featuring free WiFi throughout, G-Rough is located 50 metres from Piazza Navona Square. It offers individually designed and air-conditioned accommodation in Rome's city centre. Guests at G-Rough will find free slippers and bathrobe. G-Rough is located in Rome, 219 yards from Piazza Navona and 219 yards from Campo de' Fiori. 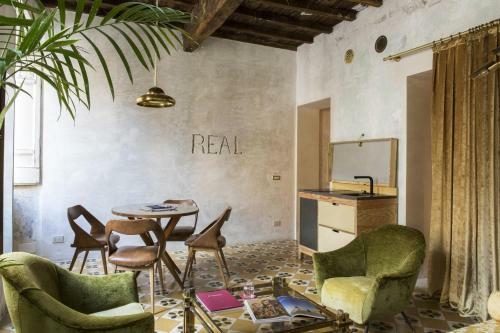 G-Rough is a luxury boutique hotel in Rome, Italy. View our verified guest reviews and online special offers for G-Rough, Rome at Tablet Hotels.